How useful are dash cams to you as a driver? And are they worth investing in? Well, dashboard cameras are very advantageous devices which do lots more than helping you park your car efficiently. The dash cams help to provide first-hand evidence of what happened in case of an accident, prevents fraud, and also an excellent solution for the undisciplined drivers. There are so many options available for those searching for the best dash cams. Thus, choosing the right one can be a daunting task for you. Below, we look at the TOGUARD Mini Dash Cam, which will make your life on the road much more relaxed. This dash cam is one of the affordably priced overhead mounted dash cams out there and has received many positive reviews. At the time of writing, it has received 4.5 out of 5 stars, and it was Amazon’s Choice for best dash cam with a capacitor. Unlike other car recorders which use a standard lithium-ion battery, this device is unique in its class – instead, it uses a super-capacitor, which allows the camera to record in both hot and cold conditions. This dash cam has a broader operating temperature which ranges from negative 4-degrees Fahrenheit to 140 degrees Fahrenheit. Additionally, the built-in capacitor also provides a much longer functional life. The TOGUARD Mini Dash Cam allows you to record full HD 1080p videos at 30 frames per second with SONY Exmor sensor. It also boasts of having H.264 photography compression technology for absolute full HD recording of your driving adventure. 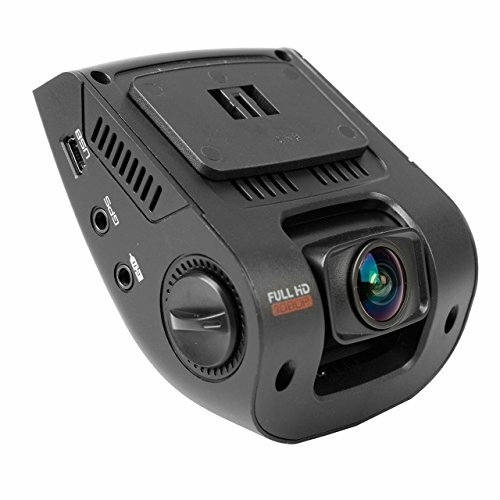 Furthermore, the 170-degrees wide-angle lens with a 1.5-inches LCD display provides the most extensive field of view ensuring that you don’t miss any event on the road. The included HDMI cable allows you to connect your system to your TV or computer, hence enabling you to view the video footage and images on a big screen. Another impressive feature about this dash cam is that it automatically powers on and shuts off when the car is turned on, and motor switched off, so you don’t have to worry yourself when you left your device powered on or off. This system offers automatic seamless loop video recording which ensures you use your storage space efficiently. When the memory card is full, it overwrites old files guaranteeing that the recent data on is not covered. Also, this dash cam supports G-sensor which locks and saves the file in case of an accident event. It also provides night vision capabilities, which helps capture quality images even in low-light conditions. Additionally, this dash cam supports motion detection whereby it automatically starts recording when it detects massive impacts. Moreover, it has built-in speaker and microphone. Provides full HD 1080p video recording with SONY Exmor sensor. Offers much longer functional life, thanks to its built-in supercapacitor. Supports audio recording, thanks to its built-in speakers and microphone. Supports motion detection, loop recording, and G-sensor. The night vision capability is exceptional. Has suction mount for secure attachment. If you have a tight budget yet you want a quality overhead mounted dashboard camera for your car, then the TOGUARD Mini Dash Cam is the best dash cam with a capacitor for you. 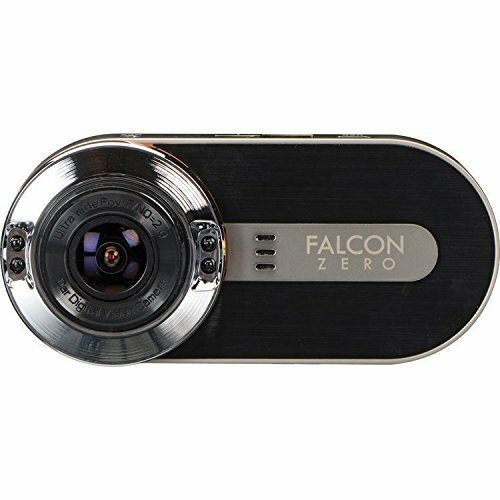 This gadget offers exceptional features which you can’t find in most dash cams in its class with a price under $50. It is worth every penny.